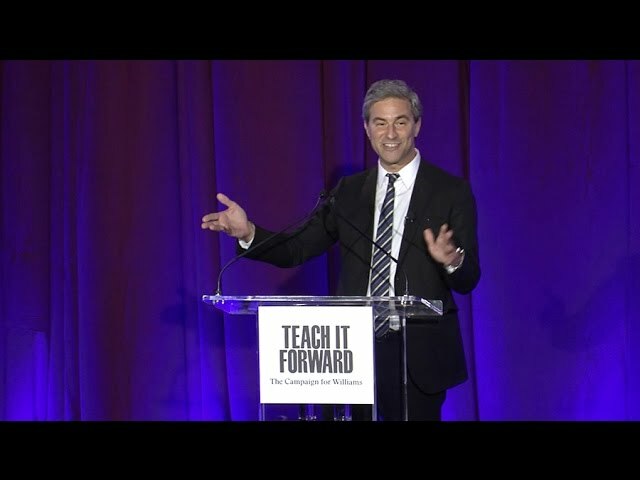 A list of upcoming campaign events as well as video presentations from the major Teach It Forward launch events in seven cities. 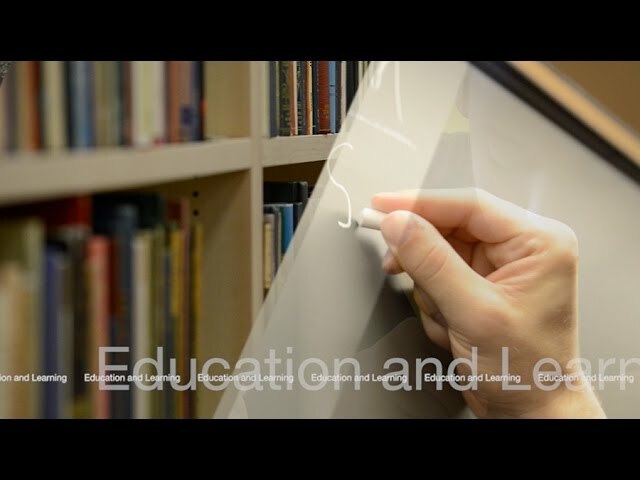 In 2015, Williams launched Teach It Forward to support and enhance the college's core liberal arts values. Through annual giving the campaign offers all Williams alumni and parents the chance to connect with each other and with the college toward a common goal while also investing in financial aid, faculty excellence, a new science center, and learning beyond the classroom and the campus. 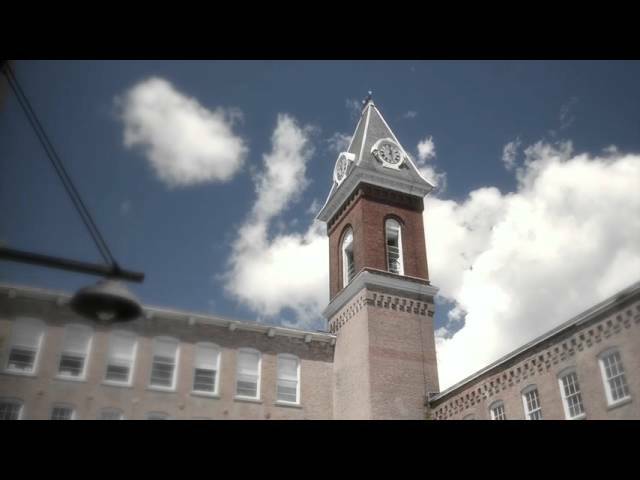 A showcase of sights and sounds from The Campaign for Williams weekend kickoff event in Williamstown, Oct. 2 and 3, 2015. 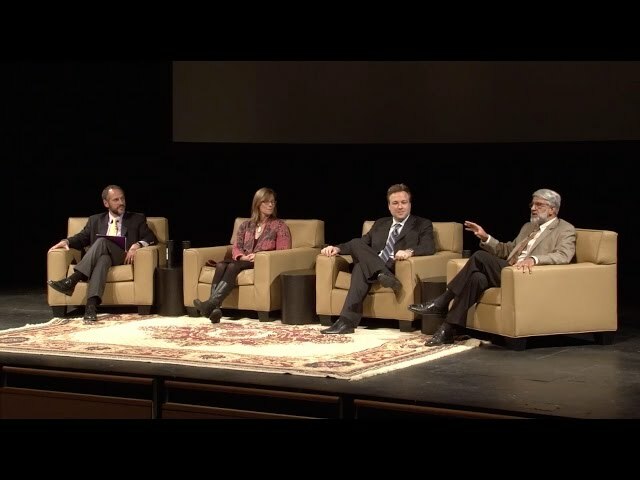 A panel discussion on Oct. 3, 2015 featuring: President Adam Falk; Denise Buell, dean of faculty and professor of religion; Edan Dekel, professor and chair of classics and jewish studies; and Protik Majumder, physics professor and director of the Science Center. Teach It Forward - The Campaign for Williams. 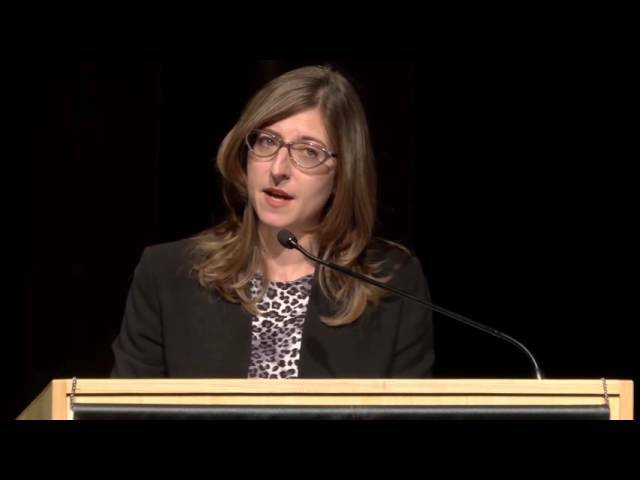 A presentation by Alexandra Garbarini ’94, associate professor of history, at Williams College on Oct. 3, 2015. Teach It Forward - The Campaign for Williams. 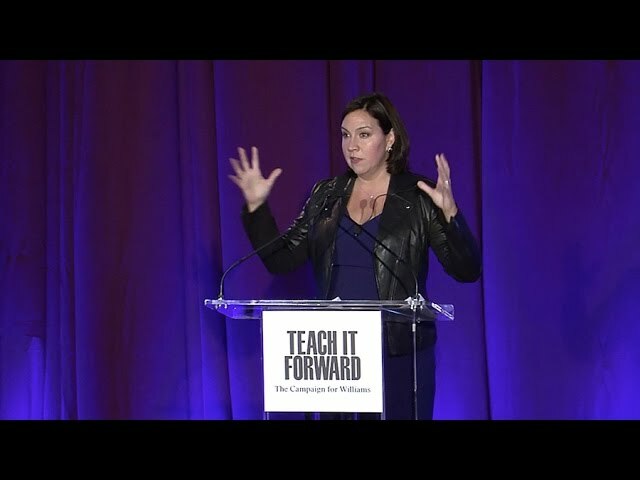 A presentation by Kristen Anderson-Lopez ’94, Academy Award-winning songwriter and producer, at The New York Public Library on Oct. 25, 2015. Teach It Forward - The Campaign for Williams. 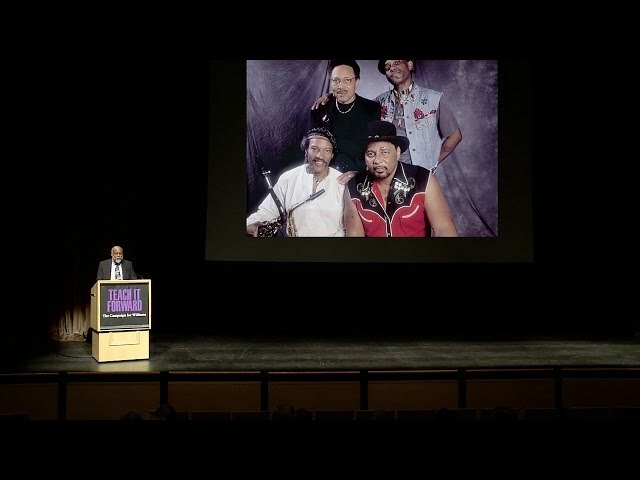 A presentation by Michael Govan ’85, Wallis Annenberg Director of the Los Angeles County Museum of Art, at The New York Public Library on Oct. 25, 2015. 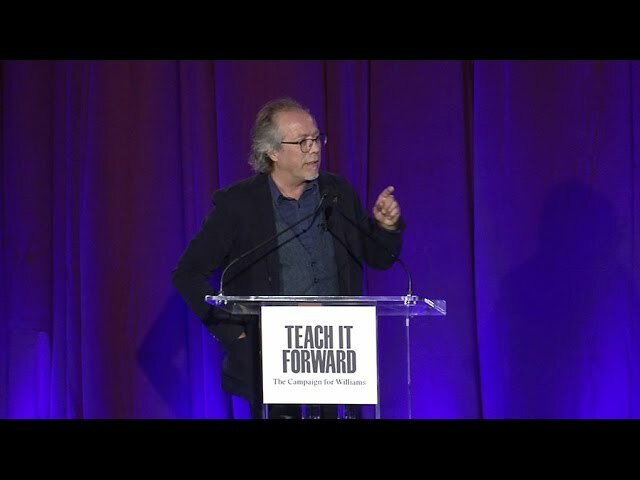 Teach It Forward - The Campaign for Williams. 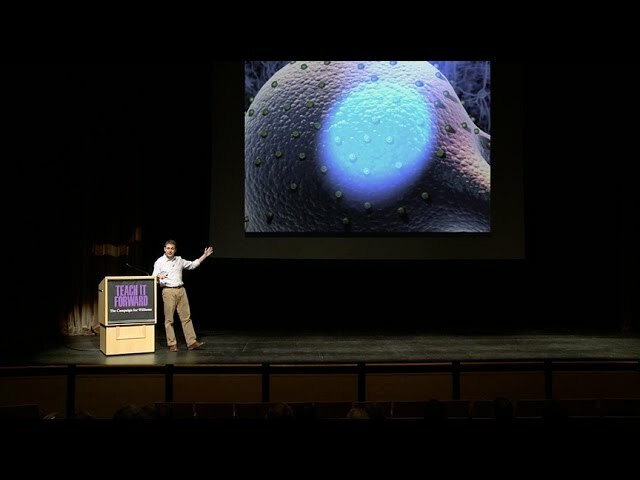 A presentation by MacArthur Foundation and Guggenheim Fellow Inigo Manglano-Ovalle ’83, professor of art theory at Northwestern University, at The New York Public Library on Oct. 25, 2015. Teach It Forward - The Campaign for Williams. An extraordinary array of alumni throughout public health and medicine who were shaped by Williams’ interdisciplinary, collaborative approach to the liberal arts today are advancing knowledge and exploring questions, issues, and innovations that will help shape the future of health. 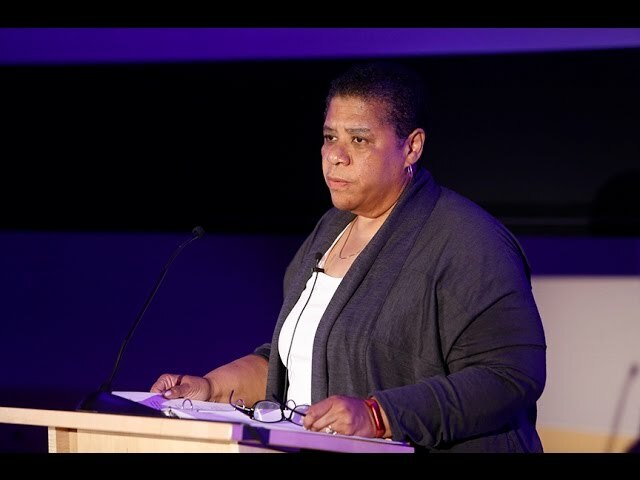 A presentation by psychologist and U.S. Army veteran Katherine Sharpe Jones ’79 at the John F. Kennedy Presidential Library and Museum on Dec. 5, 2015. Teach It Forward - The Campaign for Williams. 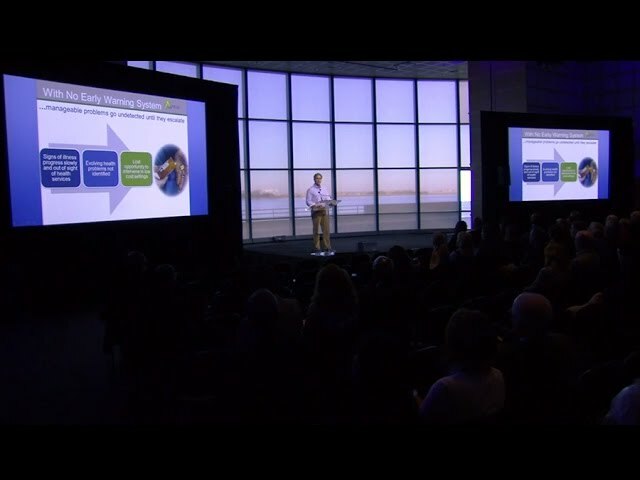 A presentation by Mitchell Besser ’76, founder of mothers2mothers and founder and executive director of AgeWell Global, at the John F. Kennedy Presidential Library and Museum on Dec. 5, 2015. Teach It Forward - The Campaign for Williams. 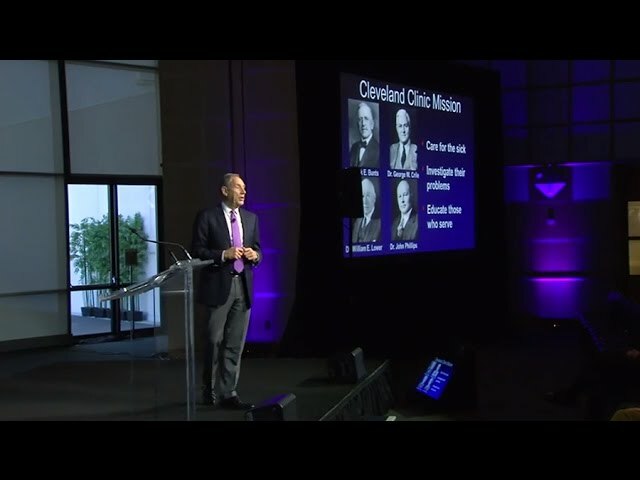 A presentation by Cleveland Clinic CEO and President Toby Cosgrove ’62 at the John F. Kennedy Presidential Library and Museum on Dec. 5, 2015. Teach It Forward - The Campaign for Williams. 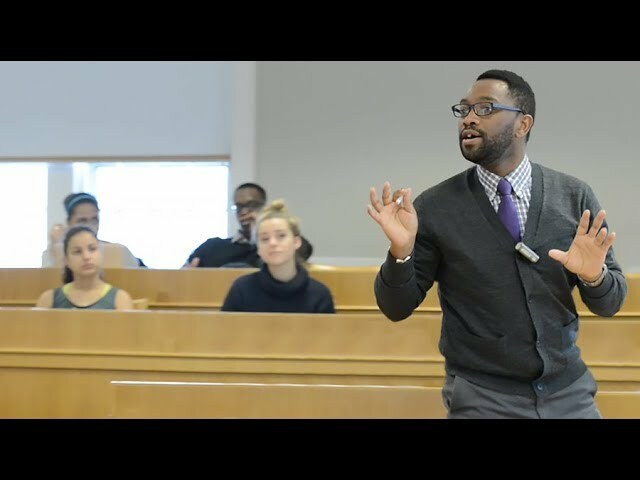 Through experiences inside the classroom and out, Williams students develop an intellectual framework for understanding the problems and opportunities in education, and as alumni they create communities of educators who have a meaningful impact. 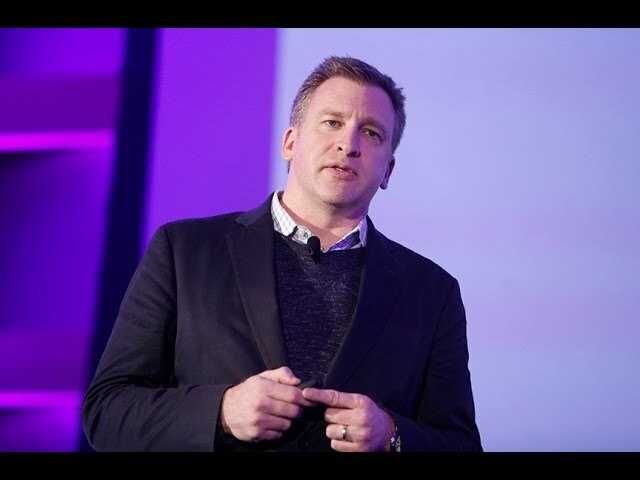 A presentation by Jason Zimba ’91, co-founder of Student Achievement Partners, at The Skirball Cultural Center in Los Angeles on Jan. 30, 2016. Teach It Forward - The Campaign for Williams. 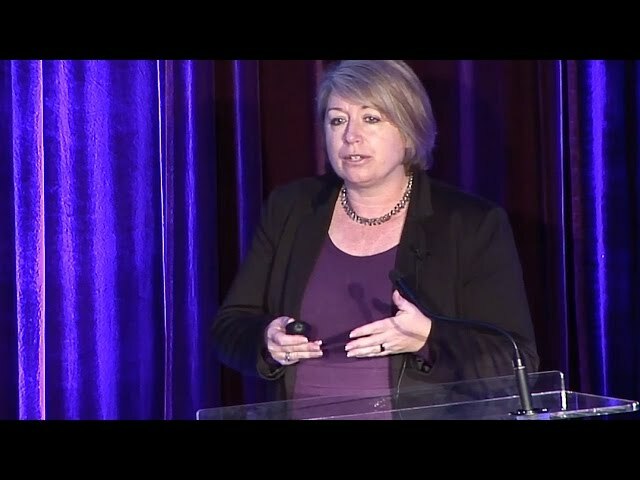 A presentation by Anna Waring ’78, executive director of the Foundation for a College Education, at The Skirball Cultural Center in Los Angeles on Jan. 30, 2016. Teach It Forward - The Campaign for Williams. 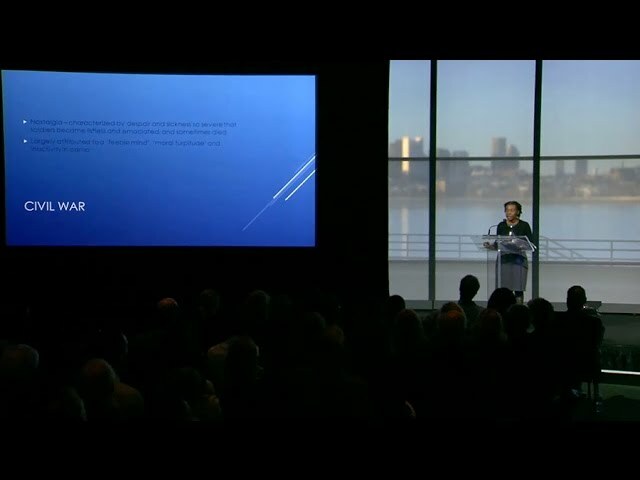 TIF Talks - K-12 Education in America: Management Matters! 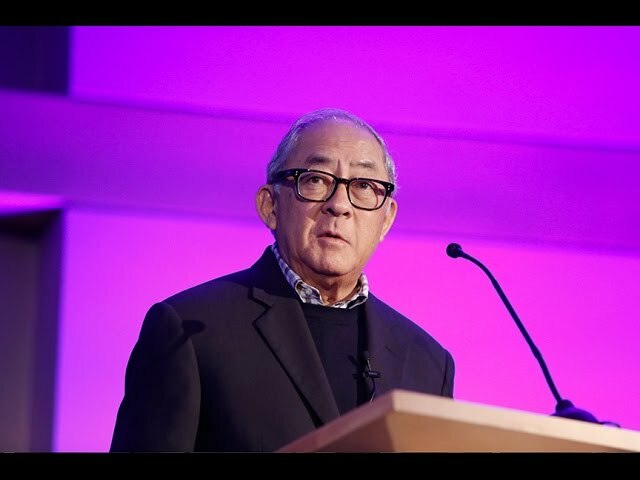 A presentation by Bill Ouchi ’65, author of "Making Schools Work" and "The Secret of TSL: The Revolutionary Discovery That Raises School Performance," at The Skirball Cultural Center in Los Angeles on Jan. 30, 2016. Teach It Forward - The Campaign for Williams. 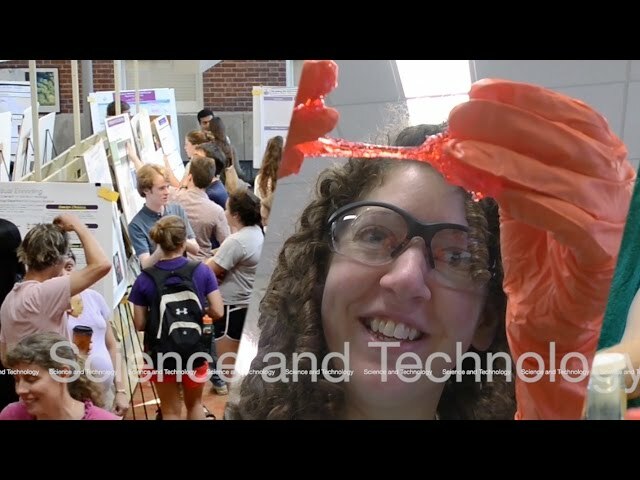 Curriculum, community, and opportunity combine to position Williams students for influential roles in academia, industry, and beyond, and as alumni in the world, they're asking the big questions in science and technology and fueling innovation and entrepreneurship. 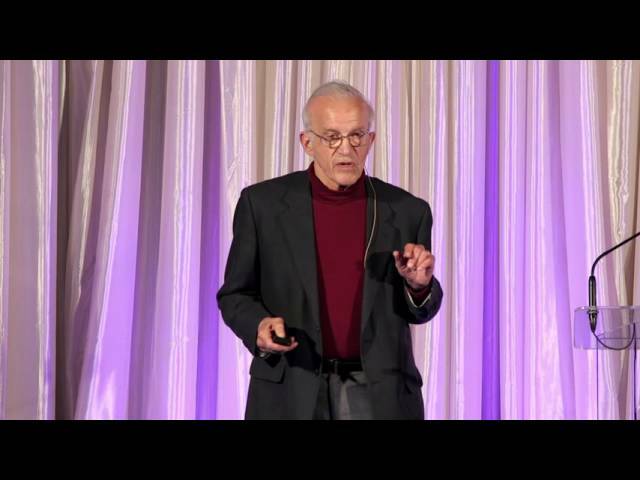 A presentation by MIT's Lester Wolfe Professor Emeritus of Physics Daniel Kleppner ’53 at The Bently Reserve in San Francisco on Feb. 20, 2016. Teach It Forward - The Campaign for Williams. 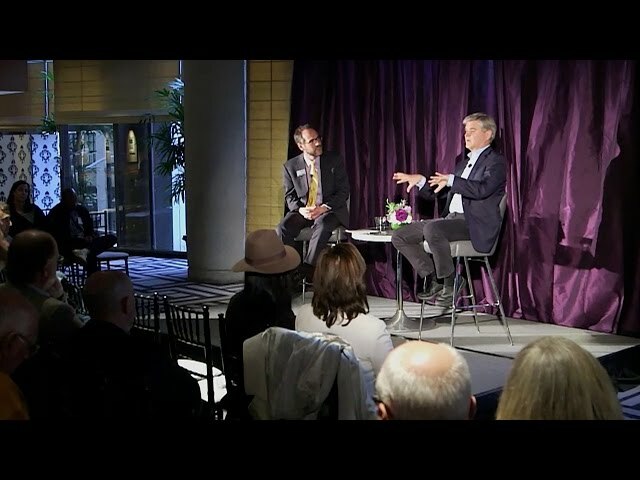 Steve Case ’80, co-founder of AOL and author of "The Third Wave: An Entrepreneur's Vision of the Future," and Williams College President Adam Falk discussed technology, entrepreneurship, and the future of the Internet before an audience of alumni and friends at The Bently Reserve in San Francisco on Feb. 20, 2016. 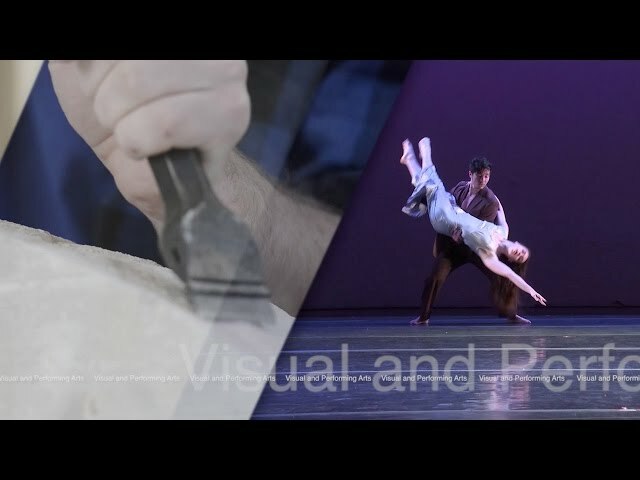 Teach It Forward - The Campaign for Williams. 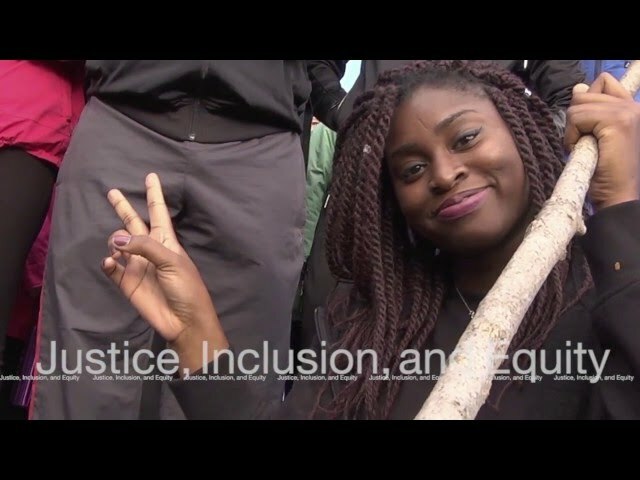 Students who come to Williams don't just join the community, they advance it, and they become alumni who are inspired by the experience--and equipped with the knowledge and tools they'll need--to make a difference improving the world beyond Williams. 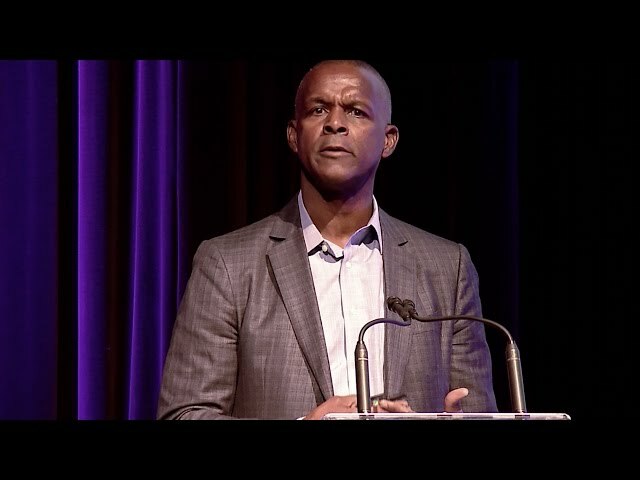 A presentation by Williams College trustee Clarence Otis ’77, former CEO of Darden Restaurants, at Venue SIX10 in Chicago on March 19, 2016. Teach It Forward - The Campaign for Williams. 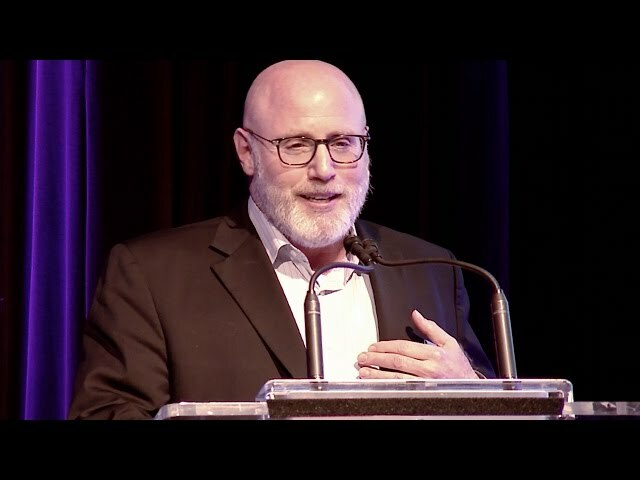 A presentation by Gene Falk ’75, CEO of PointB Advisors | DGB, at Venue SIX10 in Chicago on March 19, 2016. Teach It Forward - The Campaign for Williams. Williams students are passionate about the urgent need to create a livable future; equipped with four years of hands-on experiences and an interdisciplinary liberal arts education, they leave Williams as alumni who are not just problem solvers, but also critical thinkers, and they're rethinking the issue of climate change and reconsidering our relationship to the natural world in ways that will improve lives and sustain the planet. 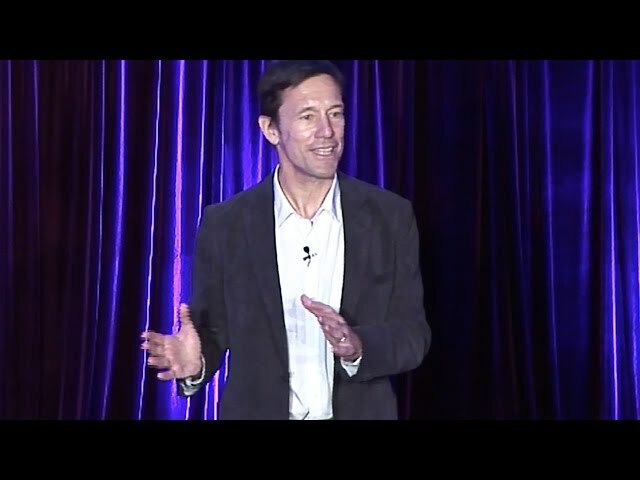 A presentation by Mark Tercek ’79, president and CEO of The Nature Conservancy, at the United States Institute of Peace in Washington, D.C., on April 2, 2016. Teach It Forward - The Campaign for Williams. 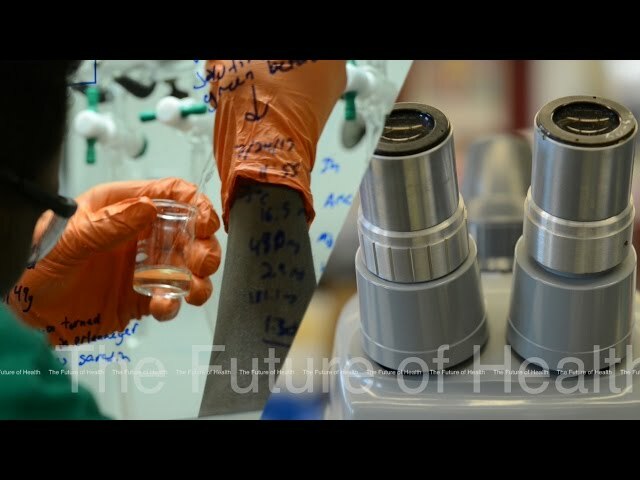 TIF Talks - Is the U.S. Military Really Going Green? 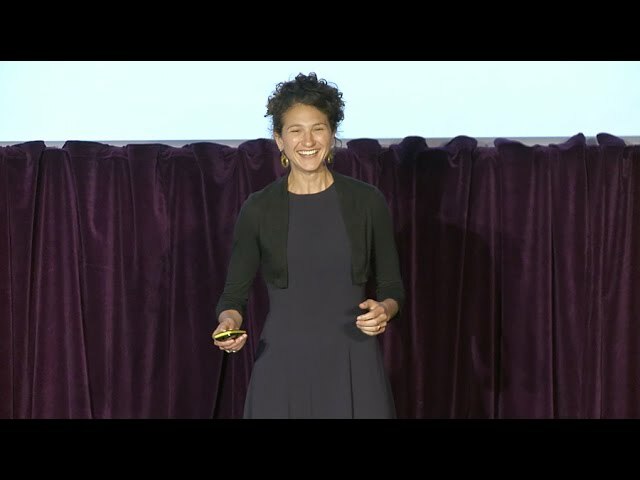 A presentation by Sharon Burke ’88, senior advisor, New America, speaking at the United States Institute of Peace in Washington, D.C., on April 2, 2016. Teach It Forward - The Campaign for Williams. 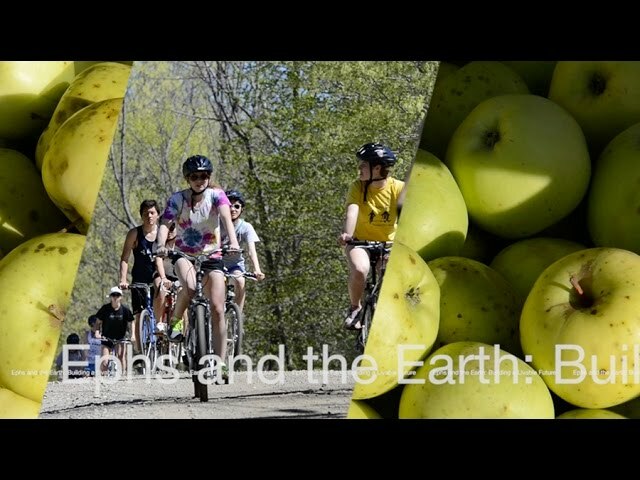 TIF Talks - The Paris Climate Agreement: Truly Transformational? 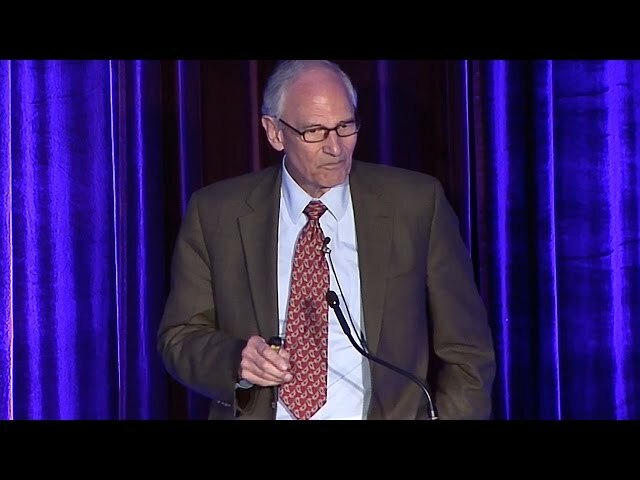 A presentation by Bill Moomaw ’59, professor emeritus of international environmental policy at The Tufts University Fletcher School, at the United States Institute of Peace in Washington, D.C., on April 2, 2016. Teach It Forward - The Campaign for Williams. 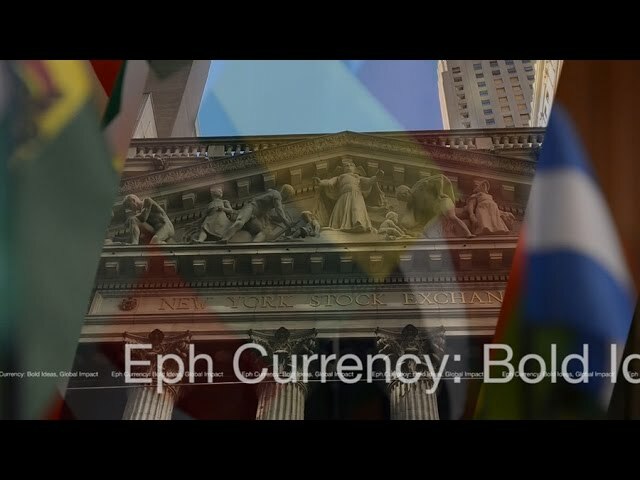 Through tutorials, seminars, close faculty mentorship, and the real-world relevance of the Center for Development Economics, a Williams education prepares students to lead in the global economy. 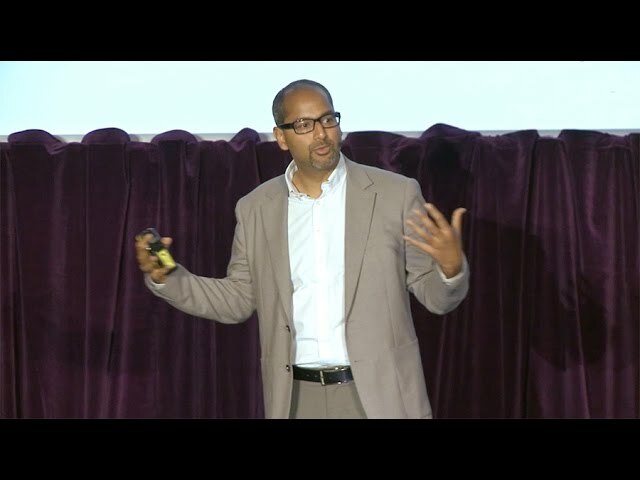 A presentation by Tarun Ramadorai ’96, professor of financial economics at the University of Oxford Saïd Business School, at The Royal Institute of British Architects on June 25, 2016. Teach It Forward - The Campaign for Williams. A presentation by Turquoise Mountain CEO Shoshana Clark Stewart ’02 at The Royal Institute of British Architects on June 25, 2016. 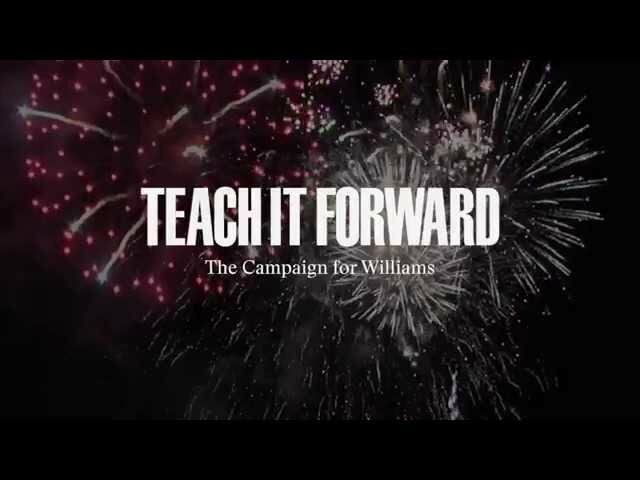 Teach It Forward - The Campaign for Williams.